Coffalyser.Net conveniently allows you to export sample reports of all samples simultaneously. In the comparative analysis tab , right-click on a sample and select Open Sample Results. 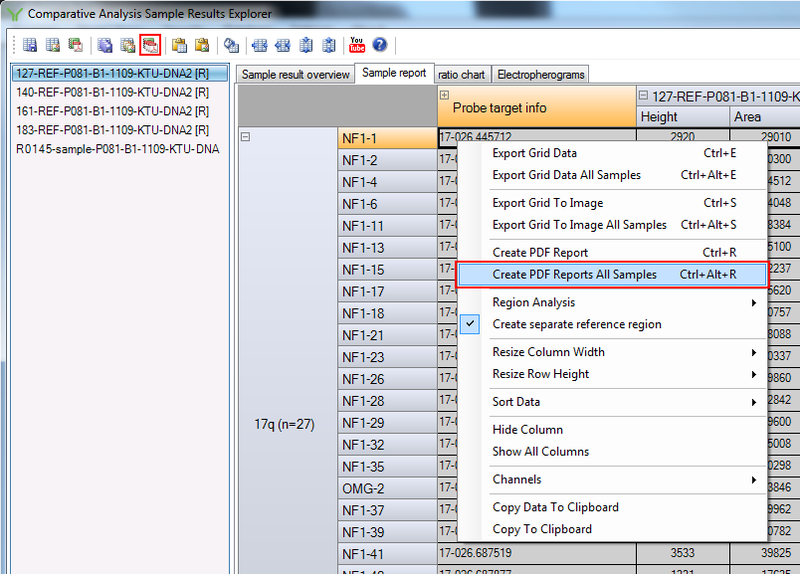 Navigate to the Sample result overview or Sample report tab, right-click and select Create PDF Reports All Samples. In any tab, press the keyboard shortcut Ctrl + Alt + R.
In any tab, click the button in the toolbar. In the dialog box that opens, enter a name for the folder in which the reports will be saved in the File name field, and select the location where you want this folder to be created. Click Save to create the folder and sample reports.